Tagged with accomodation, edtech, entrepreneurs. 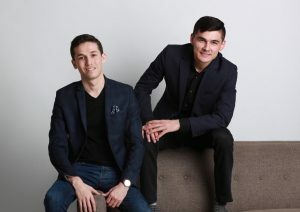 Akobir Azamovich is the co-founder and CEO of 4Stay, a tech start-up in the US aiming to “connect students and interns with local hosts, dorms and room providers”. A former international student, the 29-year-old from Tajikistan answered our questions about his origins and plans to impact the industry. "It makes the school's job very easy, especially the community colleges and language schools"
The PIE: How did you end up starting 4Stay? Akobir Azamovich: I came as an international student [to the US] from Tajikistan when I was 17 years old, to study English. It was 2007. First I went to a private college and stayed in a dorm, but then the 2008 economic crisis hit, and my family couldn’t support me financially so I had to go to a cheaper school. So I said, ‘I think I’m gonna be on my own. I’m going to start doing my own thing and save on rent’. And that’s where I faced a lot of housing issues because I went to community college, which didn’t have a dormitory, so I had to find my own apartment. So when you go to rent an apartment, it’s basically a 12-month lease, it’s unfurnished, you have to set up everything and you have to have a kind of ‘history’. Also, you have to pay a two-month deposit, so I was broke; I had no money. That’s where the idea came because a lot of other students were going through the same problem. So what I did finally was I ended up getting an apartment with some friends and we started renting the extra room we had. And then, we did [the same with] a second apartment, a third apartment, fourth apartment. The PIE: An entrepreneur in the making..
AA: The college I was attending heard about us. So they’d start sending us more and more students and they referred [us] to other programs and other schools. So the co-founder – a high school friend, Faridun Nazarov, also from Tajikistan – and I rented more than 10,000 beds. It was all offline, it was a traditional business. And then we came to a point where it became very hard because I was still studying and working; we were selling without any investment at the time. So the first client we got we told them they had to pay in advance. So with their money, we opened the apartment and invested in furniture…everything. So then we hit a scalability issue, the model was hard to scale because it was offline. That’s when we decided, hey we need to go online and start a marketplace where we connect students schools with all the room providers. It could be homestays, it could be dorms, student housing and student residences. So we launched 4Stay two years ago, and now we have over 100,000 listings on the platform of which around 80% are in the US. The other ones are through partnerships in different locations but we don’t really track them yet, but the next market for us is Canada, and the UK, probably next year. The PIE: Can you tell me about the funding? AA: We raised a million dollars from angels and some institutions. We’ve got Plug and Play, which has invested in Dropbox, PayPal and other big companies. And we’ve got some VPs of Lehman Brothers, or some bankers from Wall Street and some individuals from Silicon Valley. And we are hopefully planning to go to the next round soon. The PIE: What are your ambitions for the company? AA: We want to have this platform, a one-stop shop for students, where they have all the housing [they need] and they don’t have to deal with things like furnishing it or utilities. When you look at renting traditional apartments, they treat students like they are second-class citizens. So on 4Stay, we don’t have 12-month leases, we don’t have deposits. We guarantee the deposit on the behalf of the student. And to have all the housing furnished options in one place means students don’t have to be on Craigslist, for example. We hope to make it worldwide. you know make it worldwide. The PIE: How do you reach the students? AA: One of the ways is basically we partner with schools. Traditionally, when you go to the housing website of the school it’s a bunch of links. It makes you more confused. It’s better than nothing, but it doesn’t help students. So what we do, we give a white labelled site, so the students will be able to book a home option without leaving the school site. It makes the school’s job very easy, especially the community colleges and language schools that spend thousands of dollars trying to bring more students in, but without having housing option is a deal breaker to most of the parents. We also do adverts on Facebook, Instagram, Google. The PIE: How many students did you bring in this year, for example? AA: Probably 1,000 this year, and we also have expanded to multiple cities. We were only in DC before. We started with community colleges but language school picked up faster, because the decision making process is faster there, and they really need this. Community colleges tend to focus more on the community, but they’re picking up. Right now community colleges are attracting more international students because they want to diversify their campuses. But mainly, it’s the ESL and language schools. The PIE: Is there a commercial value for the schools, when white labelling? AA: Some do, some of them they say: I don’t just want this to be as a discount for the students. But we have that option, for every booking they get a certain percentage. The PIE: Who do you see as your competitors? AA: There are a lot of companies in Europe, but in the US there is no marketplace for student and interim housing. And the good thing is, in this space since the market is so huge we partner with our competitors. So we are partners with HousingAnywhere, Homestay.com… almost everyone in the market. And the good thing is we integrate our platforms, so students who are coming from Europe to the US can find our listing from their sites. But when they want to check out, it takes them to our site because those European companies don’t have many options in the US. The PIE: If you raise the next round of funding, what would that enable you to do? AA: Launching the mobile app, because it’s mobile responsive. Another thing we’re planning to is hit 100 schools – we’re currently on 87 – then make it to 500 schools. So lots in the pipeline. That we want to hit the listing number to one million in one year. We’ve got really good partnerships going on and we are about to sign a partnership with the biggest affiliate organisation in the US, which has more than 30 million members, we cannot discuss it further yet. But it’s a very big organisation.